This product was formulated especially for Yamaha ATV and golf car differentials which incorporate a friction clutch or brake inside the differential. It extends the noise-free and vibration-free operation of the clutch/brake far beyond a typical differential oil. It contains a superior anti-wear and anti-scoring performance additive for protecting gear teeth and bearings from the rigors of tough running over steep terrain. A dispersant inhibitor system helps maintain the pliable nature of seals, preventing leaks. 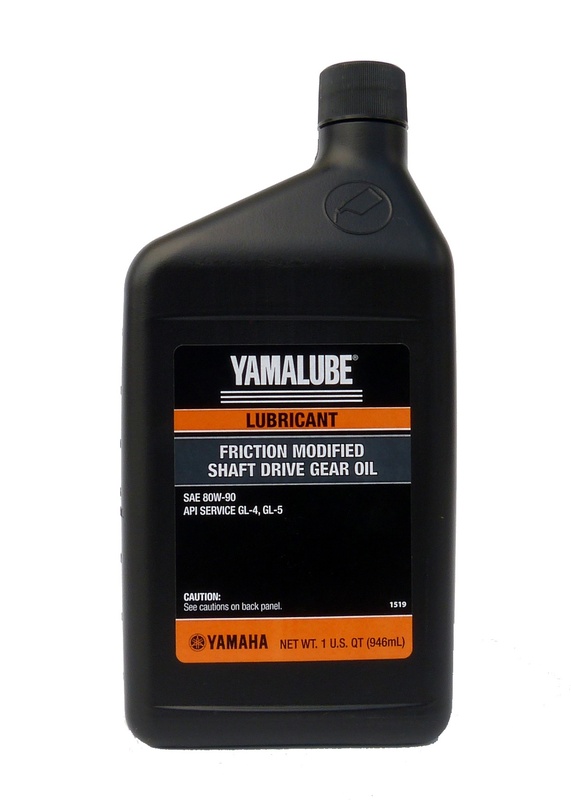 This product may also be used in Yamaha differentials which do not contain an integral friction brake or clutch and which specify an API GL-4 or GL-5 gear oil.